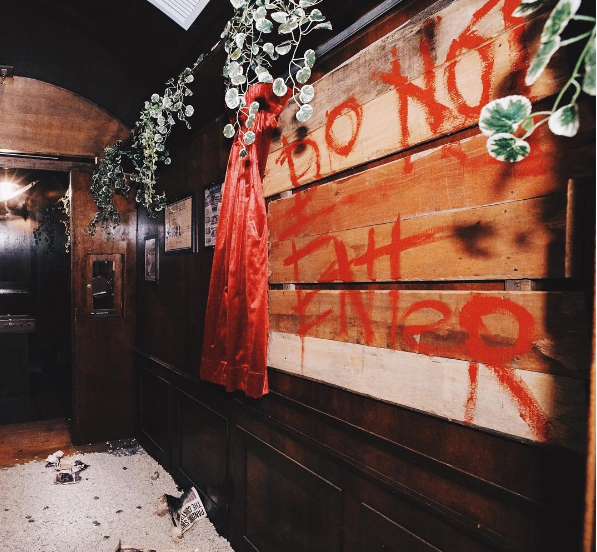 The concept of escape rooms has always had a certain appeal, particularly for a generation that grew up on video games. Put everyone in the room and get them to figure out how to get out. Those who do get out in the set amount of time get a sense of accomplishment and boasting rights; those who don’t are fired up with a grim determination to do better in the future. We got to wondering what actually goes on behind the scenes and what goes into crafting one of these rooms. 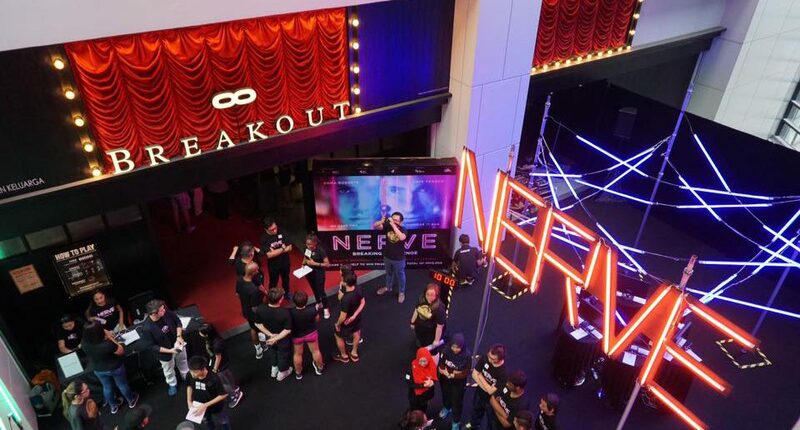 Johnny Ong, the Creative Director of Breakout gave us a peek into the planning, preparation and work. Here’s what we found out. 1. 3 people is more than enough to design a whole room. According to Johnny, having having a large team helps to speed things up. However, the team working on a room can be as few as 3 people. Teamwork is essential and they work together every step of the way—from brainstorming, to coming up with the theme, to building up the storyline, designing the puzzles, figuring out the layout, overseeing the renovation, and finally the test run, before rolling out to the public. 2. The storyline isn’t just to set the “look” of the room. And no one wants to feel like they’re taking a test in school again. “Most of the time, players might think that storyline is only important during the introduction and ending of the game. In Breakout, we will merge the puzzles into the storyline so that while you are playing the puzzles, you are understanding the storyline,” said Johnny. An introduction to some of Breakout’s elaborate storylines in video form can be found on their YouTube channel. 3. Making one room can cost around RM30,000. We were very surprised to find that making a room would set the company back by around RM30,000, and that’s just for the basics. 4. Customers don’t like it if the room is “too easy” (or if they’re told it’s so). “We will always take feedback from the customers and use our best efforts to find a balance so that it satisfies a vast majority of the customers,” said Johnny. However, what they’ve found is that there’s a fine balance between making a room “too easy” or “too difficult”. No one wants to pay to play and find that it wasn’t enough of a challenge. On the opposite end, no one would like playing and then feeling as if the puzzle was “impossible” to solve. Players are also less satisfied if they’ve managed to get through what they are told is an “easy” room. So even the language that the team uses to describe rooms matters. 5. The number of people needed to solve each puzzle MUST be factored in. If you think video games are one of the inspirations for the rooms, you’re right. “I get ideas for puzzles from playing tons of games but I don’t copy the entirety. I re-innovate it so that the puzzles are more fun and more suitable to the theme,” said Johnny. However, if you think adapting video game puzzles is all there is to it, you’re wrong. Video games are usually designed to be played by one or two people at most. For the puzzles in escape rooms, customers need to feel like all them have a role to play. As an example, if one puzzle only requires two or three people to work on it, what does the rest of the group playing do? “They feel like they aren’t contributing, which takes away the fun of the game,” the Breakout team explained. This is also another reason why Breakout assigns “roles” to the players, which give them special abilities and powers that they can use in the rooms. 6. The room layout is designed to “trick” players. 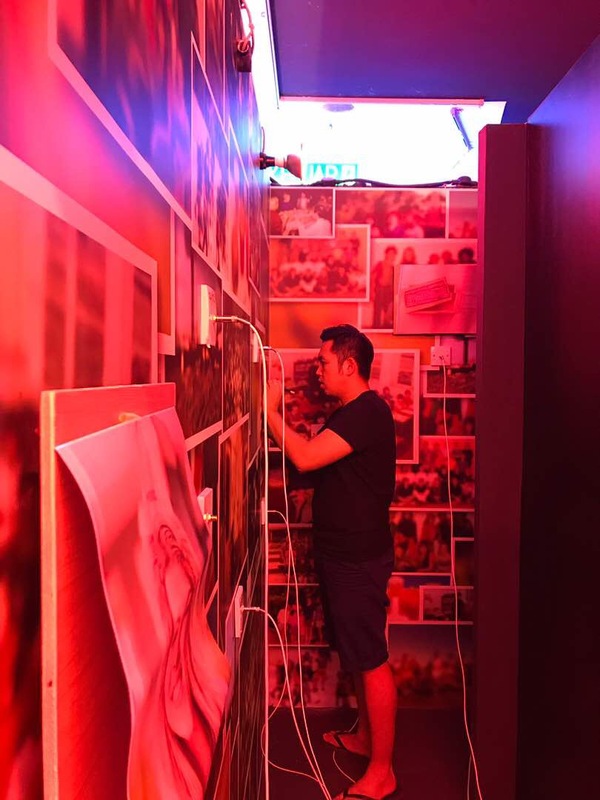 Johnny inspecting and testing the new designed room, CEREBRUM. If you’ve been to one of Breakout’s rooms, you’ll find that it’s not just about figuring out how to open the next lock to the next room. Often, you’ll end up crawling through spaces, popping up latches on the floor and climbing up or down ladders. Johnny revealed that this is all part and parcel of building a good room. Also, they’ve found that most players don’t really like having to “move around” too much. 7. It takes no longer than 3 months to get a room out. The Breakout team usually take not more than 3 months to get a room done, from ideation to rollout. “This is important to make sure the puzzles are not too hard or too time-consuming.” Sometimes though, the marketing team does get a say, and the design team might have to adjust the difficulty of the room. Also, the staff only get to test a room once per person. It does make sense though—if you’ve already been through the puzzles one time, you would know how to solve them. 8. Nothing is put into the room by accident. You’d notice all sorts of small objects, images and props all around the rooms, particularly if you’re desperately hunting for the clue to unlock the next door. And to people who are thinking of rampaging or tearing the room apart when they can’t solve a puzzle, that doesn’t work.